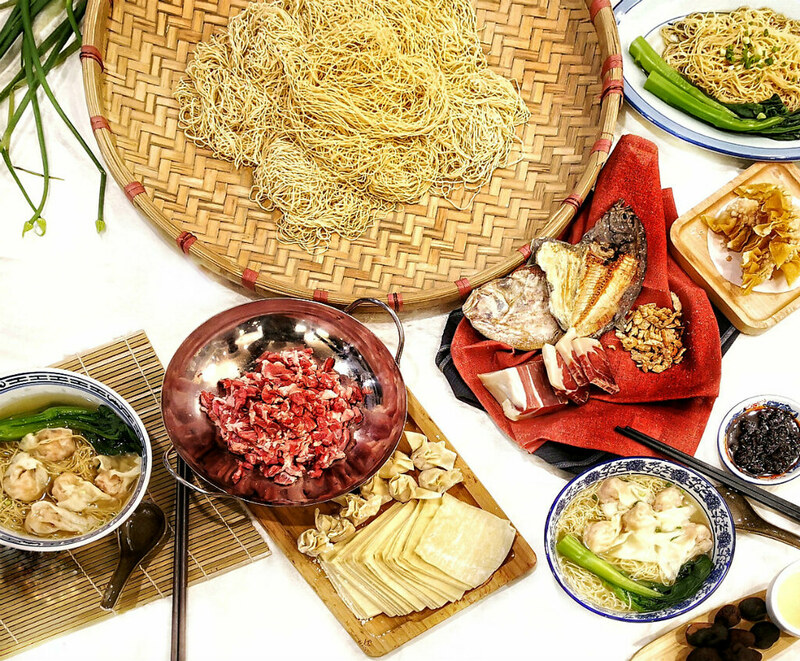 There’s something roasting at CHAR – the Cantonese cuisine specialist located along the trendy eateries and pubs of Jalan Besar. 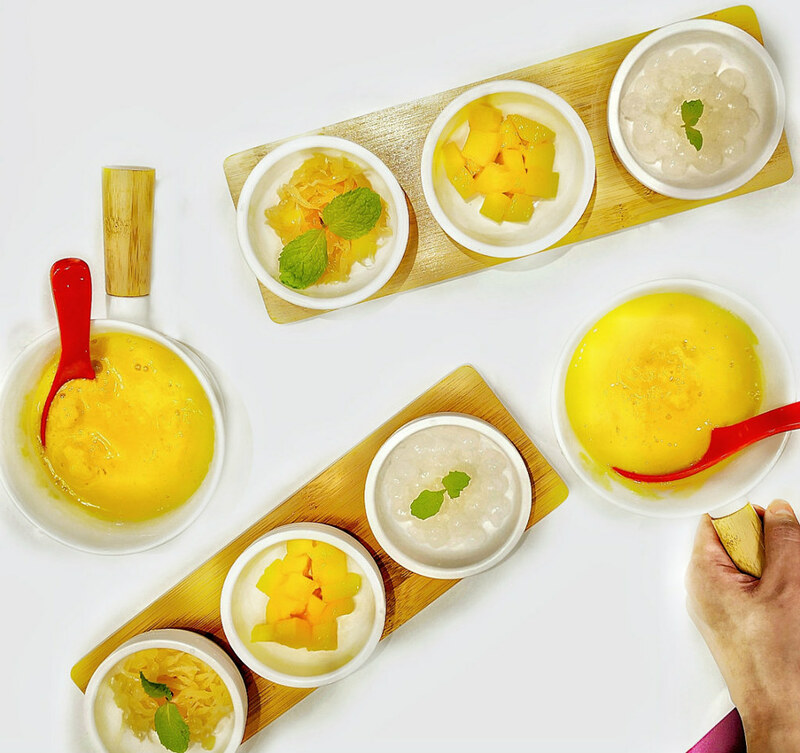 One, the new Head Chef, Chi Leung Tse, joined the restaurant in May this year, bringing over 20 years of culinary experience in Cantonese cuisine, with past stints at the famed Raffles Hotel, Imperial Treasures and more. Two, he revitalised almost 70% of the CHAR menu, adding his personal repertoire of Cantonese dishes, which includes the succulent Premium Slow-Roasted smoked char siew (above). If there’s something that unites all insatiable carnivores, it’s the aroma of the slow-roasted meat, the texture and flavour when you bite into it. 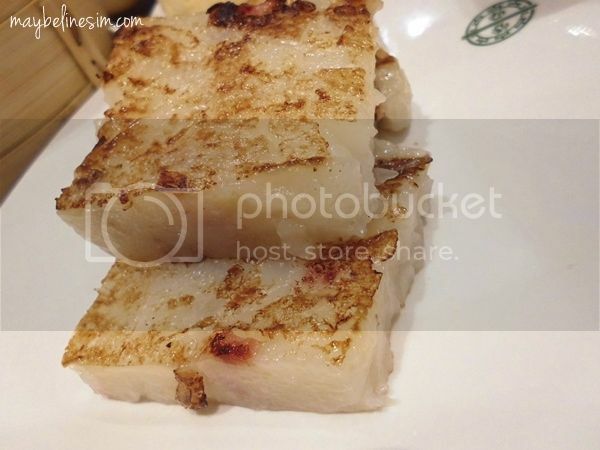 Using Kurobuta pork belly, this premium version has a higher amount of lean to fat and the marbling provides a firm yet moist bite. Prepared fresh daily, the whole process takes hours in low heat to render the fats and to retain its juiciness. Do note that there is a limited number of portions (150g) served per day and will only be available during dinner. And with the tact that each reservation is only allowed one portion of the Premium version, so it’s best to reserve a table before it goes out. With a signature recipe sauce that consists of over 30 ingredients, specially blended to pack as much umami as possible, the Signature Char Siew (above) achieved that perfect golden ratio of melt-in-the-mouth fat and tender lean meat. It took well over a year for the owners to perfect the sauce. A little background on the CHAR owners. 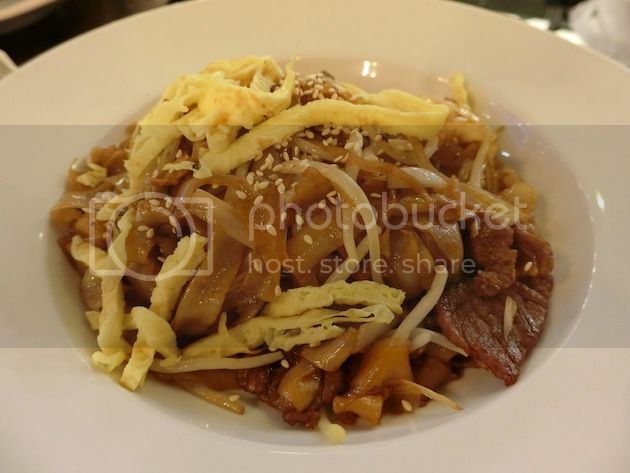 Launched in 2014 by Anthony and Alvin Ung, two Vietnam born brothers who managed to harmonize their different experiences to establish this restaurant. 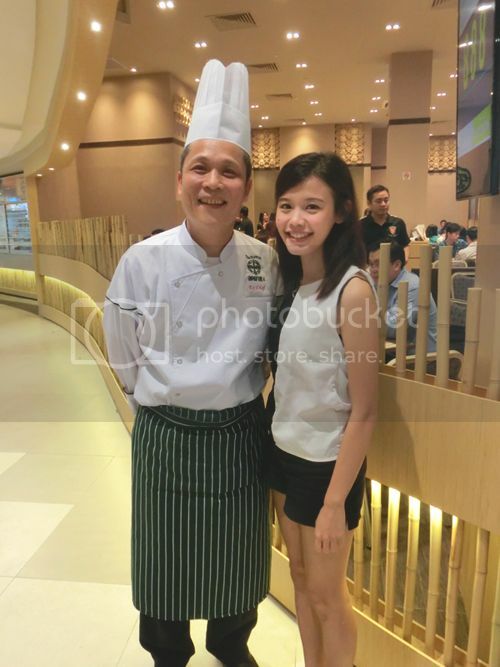 Alvin, a chef by profession, has over 30 years of experience in traditional Chinese cooking. Anthony, on the other hand, loves Western-style food preparation techniques but via Asian ingredients and produce. The bros put a unique twist on traditional Chinese roasts such as char siew, roast pork and roast duck, accompanied with a delectable Cantonese-based menu like the Charcoal Beancurd with Spinach and Wild Fungi (below). Beancurd is one of my favourite go-to food, and this dish definitely tops as one of the best block of beancurd I’ve ever tried. Silky-smooth and savoury, charcoal powder is added to give this humble staple a subtle flavour and black appearance. The light broth consisting of oyster sauce, dried scallop and wild mushrooms, helps to infatuates the taste profile of this exceptional dish. You can taste the freshness with that lovely crunch in Passionfruit Prawn Ball. Marinated in homemade mixture of seasonings before it is lightly dusted in flour and deep-fried to perfection, the prawns were then tossed in a sweet-tangy passionfruit dressing to give that luscious and creamy glace. The thing I find about CHAR is its strong, robust play on flavours. 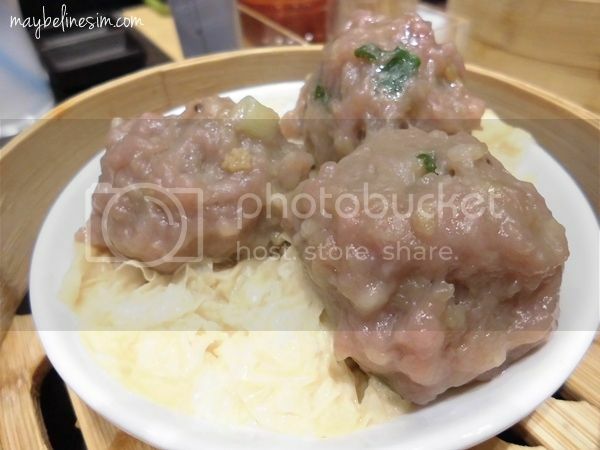 Therefore, the Signature Double Boiled Chicken Soup came across as refreshing and balanced the palate well. The milky, collagen-filled broth is resulted from the hours of boiling chicken bones and cartilage. Inside this bowl consists of chicken, morel mushrooms, white cabbage and dried scallops which harmonizes the flavour fully. 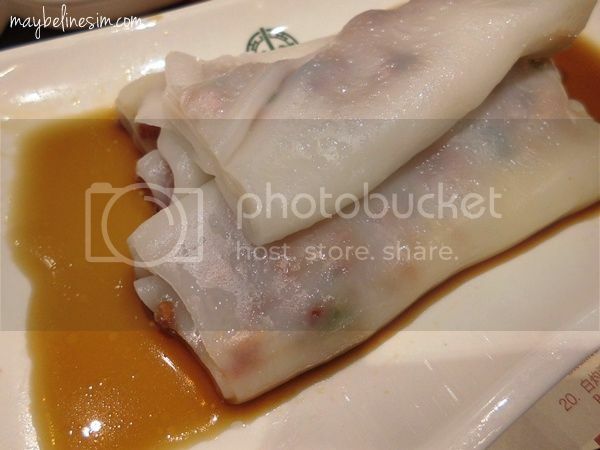 Overall, CHAR could well be the one of the best spot for family or colleagues to indulge on modern Cantonese cuisine. The restaurant also serves a respectable selection of ciders and ales specially handpicked by the Ung brothers to complement the variety of roasts on the menu, so food-drinks pairing enthusiasts might want to check out this neat restaurant too. 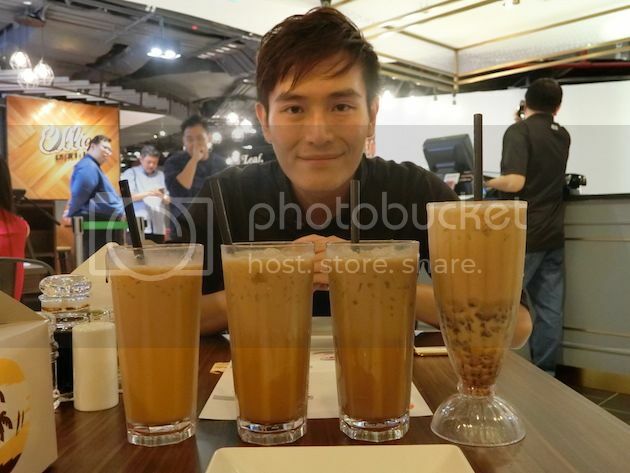 For the who have long heard of the signature commonplace ‘Cha Chaan Teng'(Teahouses) in Hong Kong but yet to try it, you can finally have a shot at it in Singapore! 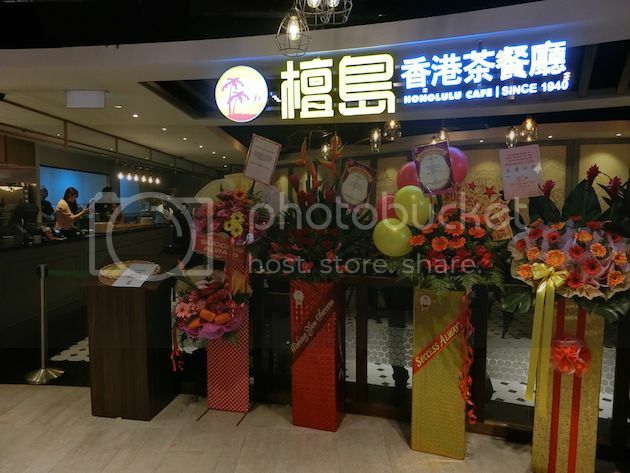 This is because Famous Hong Kong Honolulu Café has made its first imprint on Singapore at The Centrepoint! 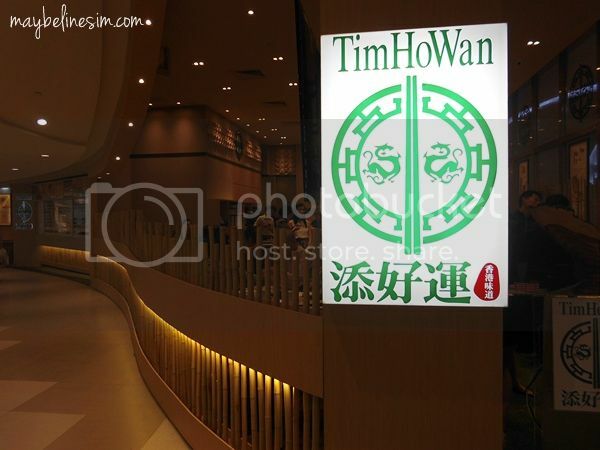 We were very privileged to be the first few alongside other famous food bloggers to enjoy authentic Hong Kong dishes served in this café one day before the official opening to public! One thing that caught our eyes the moment we reached the café was the long standing heritage this café has: ‘Since 1940’. That makes it even more ‘senior’ than our homeland, Singapore! To be able to last this long in a competitive Cha Chaan Teng market in Hong Kong, this café must have something really unique we thought! It wasn’t long before we were introduced to their signature dishes & confectionaries. 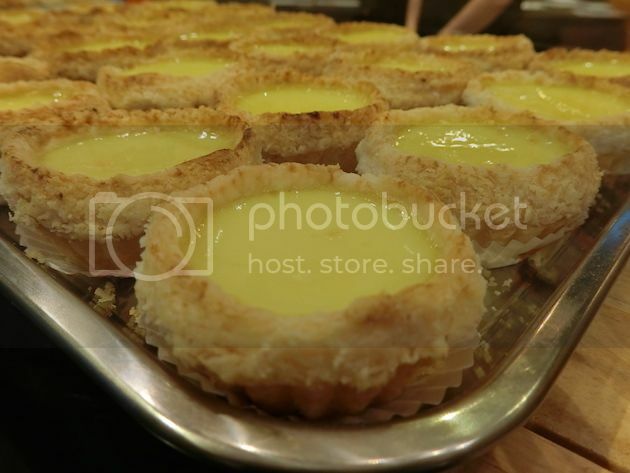 One of which they are most renowned for is this Egg Tarts! Like what M said in her IG, ‘Bliss can be very simple’. 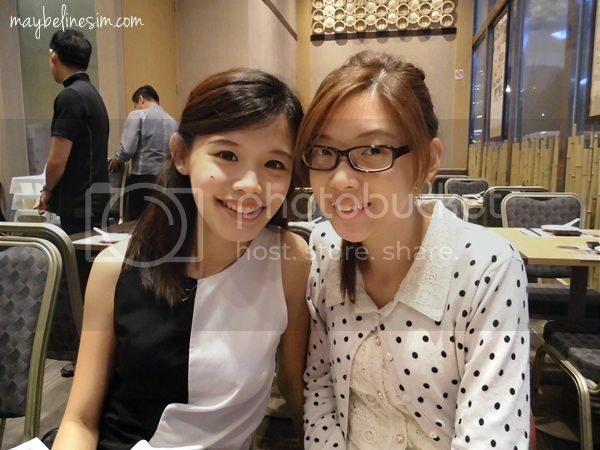 By that, she simply meant that you could enjoy easily the best egg tarts in Singapore for a mere $1.70 here! What makes it stand out is its crispy & flaky shell combined flawlessly with a lightly-sweetened soft egg custard! This created an ironically wonderful texture to this whole pastry! 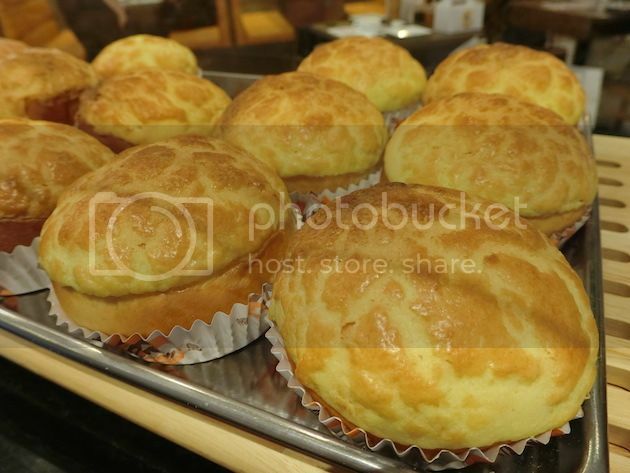 Pineapple Bun with Butter. 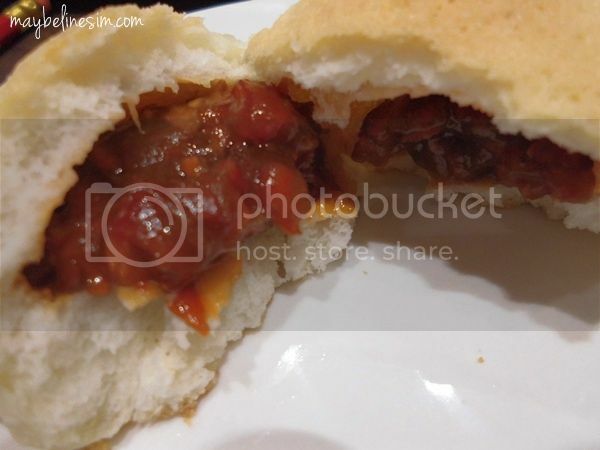 The outer layer of the bun was sweet and cripsy but I would recommend to have it while it is still warm. Fried Egg Puff. For people with sweet tooth, this is something you will like. It taste like a softer version doughnut. 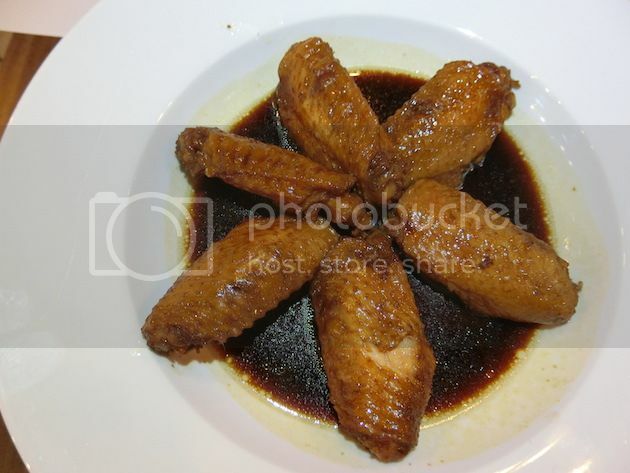 Chicken Wing in Swiss Sauce. This was so good. James finished all 6 at one go. 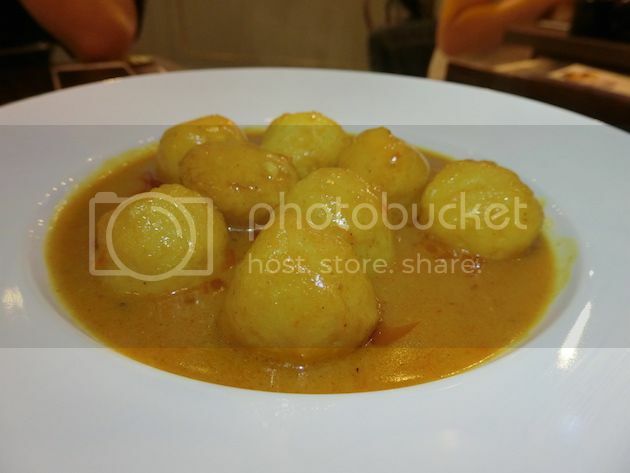 Curry Fish Ball – When we visited Hong Kong two weeks ago, this was seen almost everywhere. 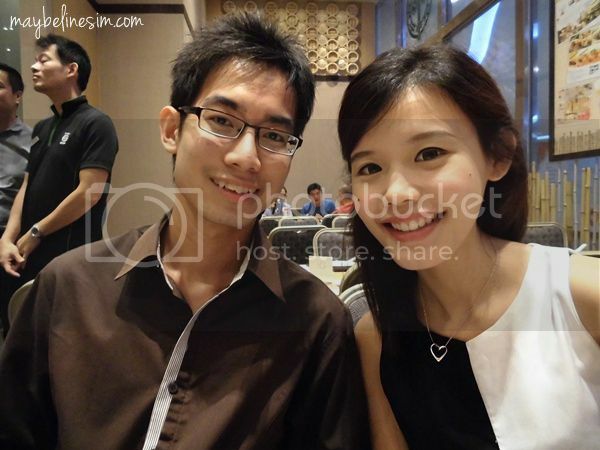 We gave them a try and we are glad to find this in Singapore again! Although it seems like a normal dish but the curry paste is specially imported from Hong Kong! Pork Chop Bun which taste exactly like how it was when we had it in Hong Kong! 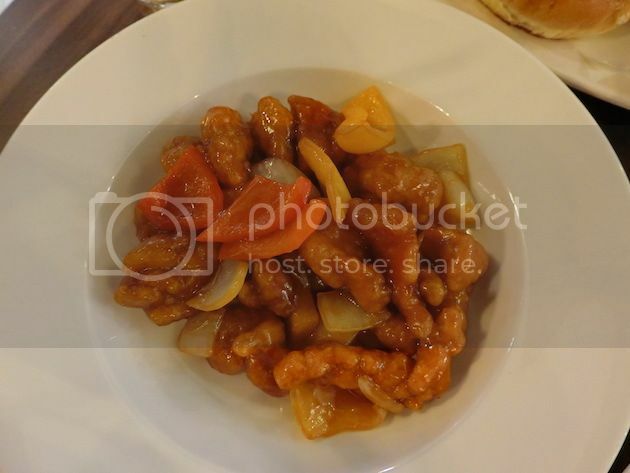 Sweet & Sour Pork, a local delight even in Singapore. The milk teas are not too sweet as they are made with evaporated milk instead of condense milk. I love the usual Iced Milk Tea while James thought that the Red Bean Milk Tea is more unique. In my opinion, this cafe is a must visit. 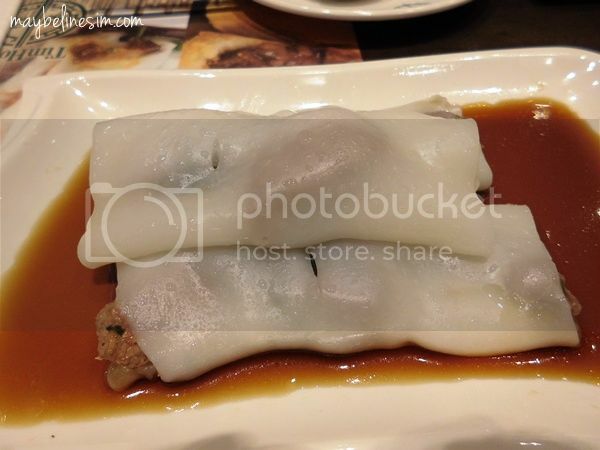 As compared to other Hong Kong cafes you can find in Town, Honolulu Cafe is a more pocket-friendly place. Even their “Instant Noodles” cost only $5/bowl. 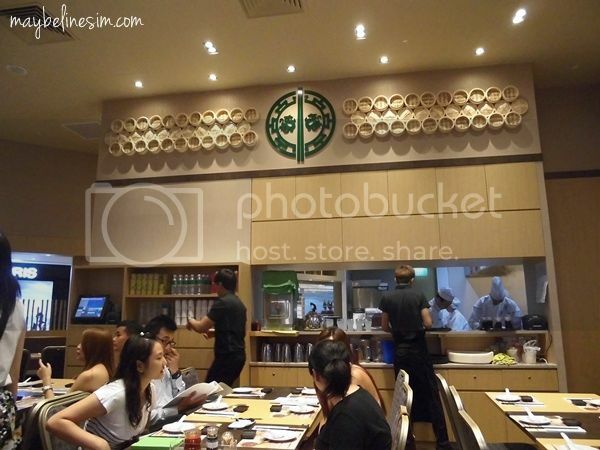 This is the restaurant’s first overseas outlet and it’s in SINGAPORE!!! Just at Plaza Singapura! 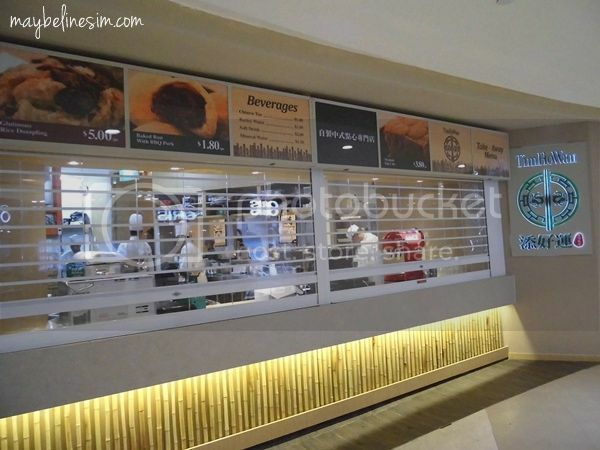 On average, each outlet in Hong Kong sells close to 2000 bamboo baskets of dim sum everyday. This is all because of Chef Mak for choosing only the freshest ingredients, made to order concept to retain its flavour and texture. Yes, yes, a lot of Singaporeans are as excited as me. It’s official opening is TODAY at 10am! 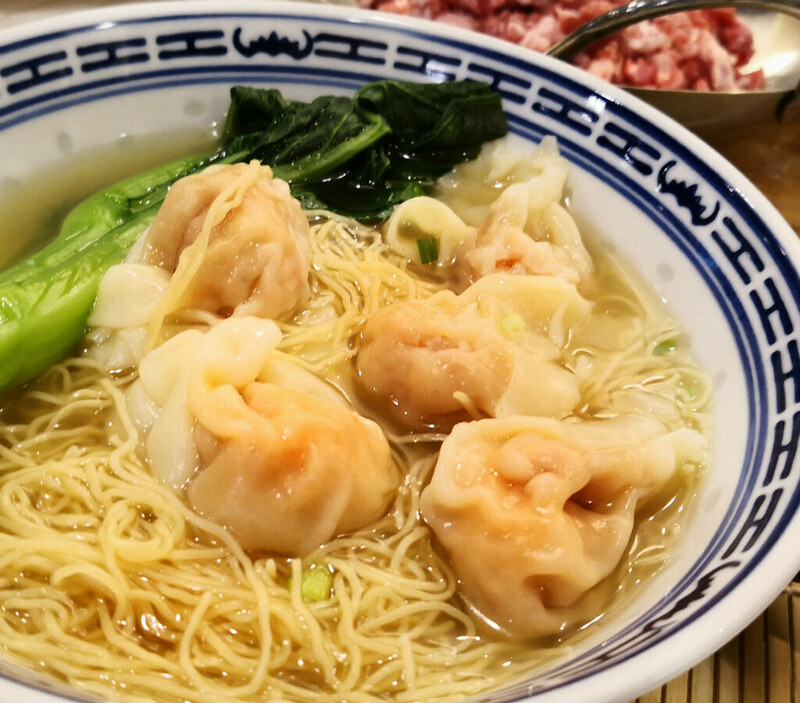 !It is located right in the middle of the new and old plaza sing at Level 1 #01-29A.You can enjoy good dim sum without the need of hoping onto a plane and fly to Hong Kong now! 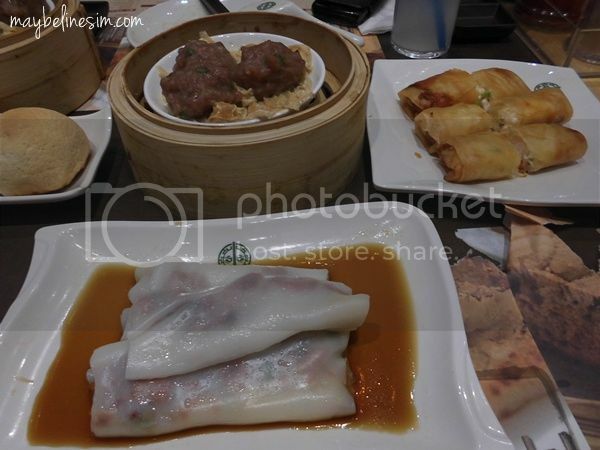 They do not have a very big variety or dim sum, but most of the famous and popular ones are available. Besides, their price starts from $3.80 only???? 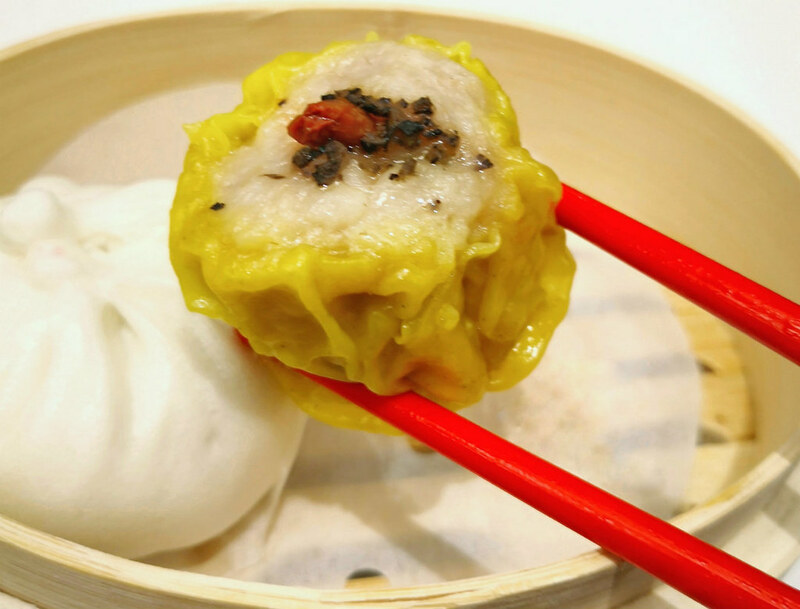 In time to come, the restaurant will also unveil special dim sum that have been adapted to local taste. Shall we start with the famous “Big 4 Heavenly Kings”? OMG!! MUST TRY!!! 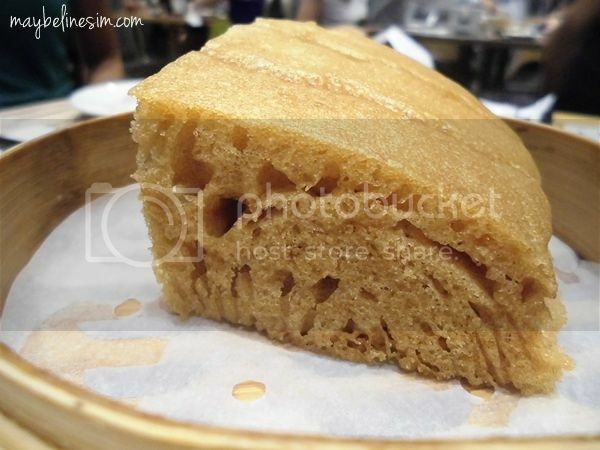 The exterior is crumbly and fluffy and the inside has Cha Siew with oozing sauce. 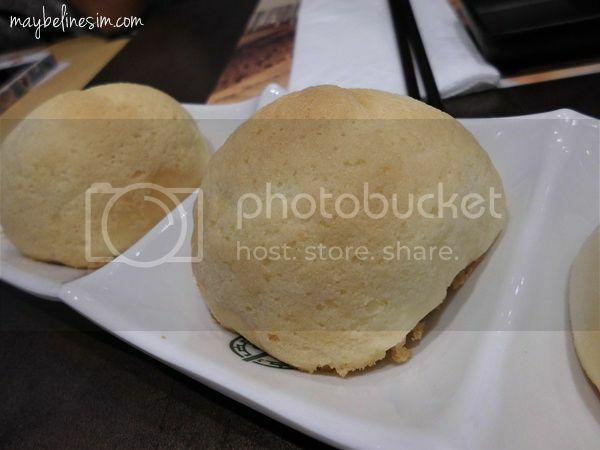 Better than liu sha bao!! So the taste is more of a sweet-salty taste. The liver is actually soft and tender and rather special as you don’t find zhu chang fen with pig liver anywhere else right? Well, at least it’s not that common. It has a velvety texture while the liver lends a gamey flavor. 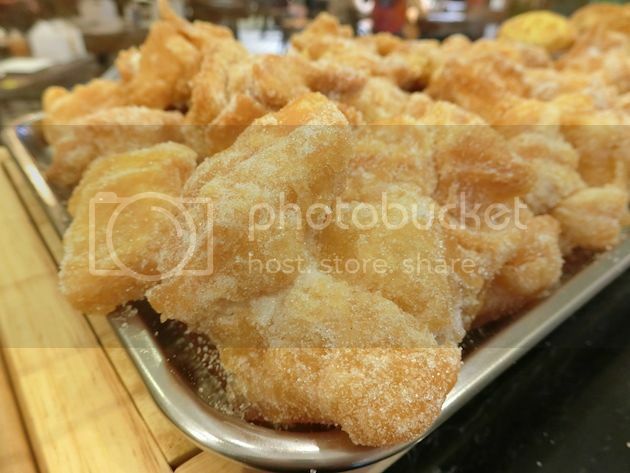 The cake is light and spongy and SWEET because it is caramelized. I think it’s a good choice to buy one and eat/chew it on the go. 1 portion is actually quite big (for me). This is quite special too. It doesn’t taste like carrot cake at all. It has big white radish chunks inside. 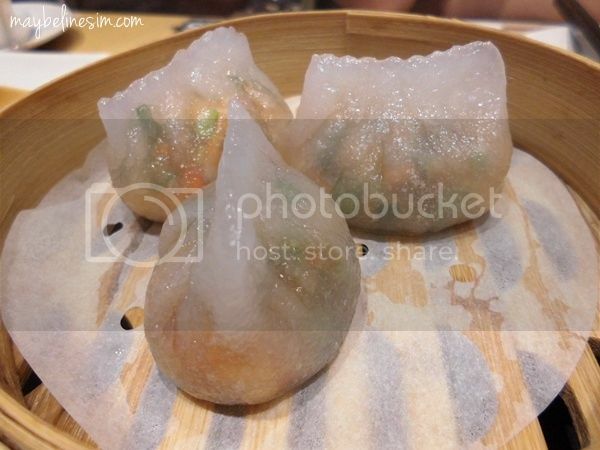 Other than the big 4, here are the other dim sums that I personally would love to recommend! 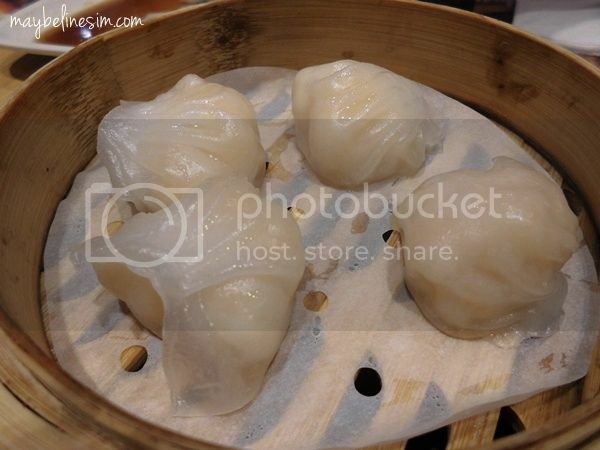 Prawn dumpling!! I LOVE ITTTT I LOVE ITTTTT!!! 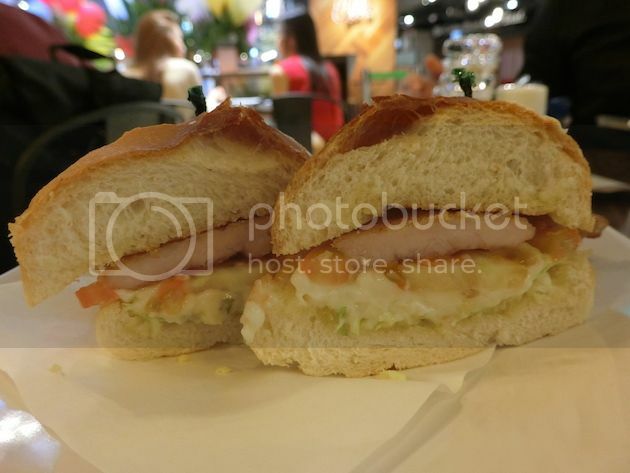 It is totally filled with juicy and fresh prawns. 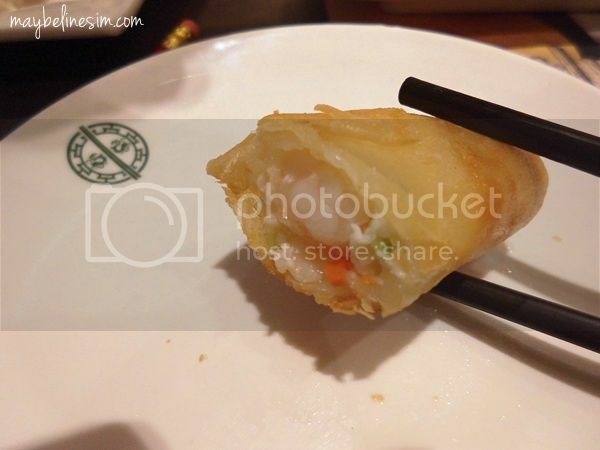 More than 1 prawn per dumpling!! Spring Roll with Egg White. Very crispy. Yes, there’s prawns inside too. 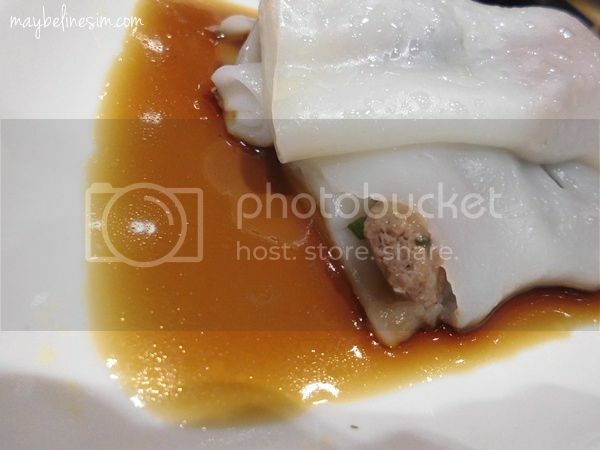 Pork Dumpling with Shrimp. The meat is soooooooo tender! 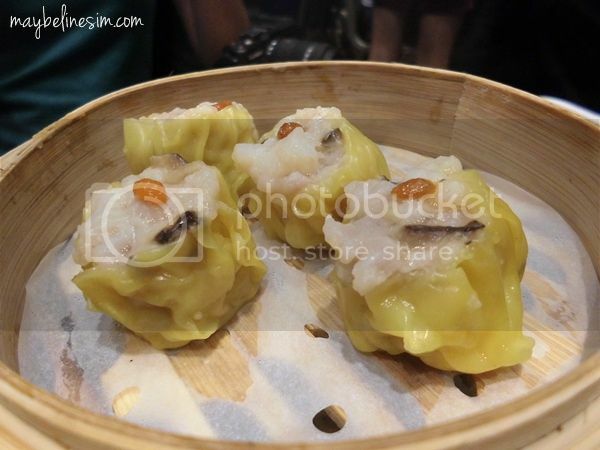 Dumpling Teochew Style. It contains radish inside. This dessert is quite special. 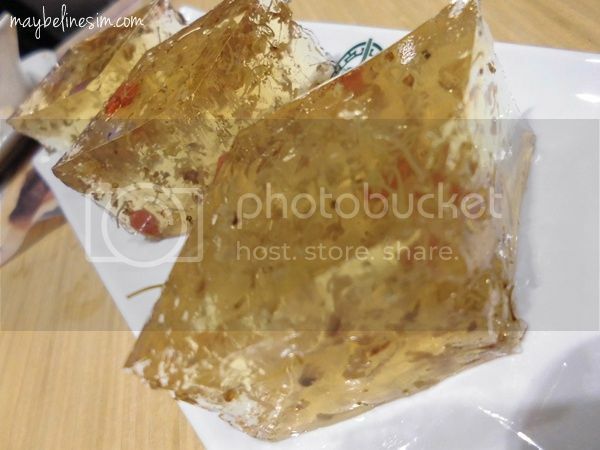 Tonic Medlar and Osmanthus Cake (Cold). It has this sweet floral taste that I don’t know how to explain but I quite like it. 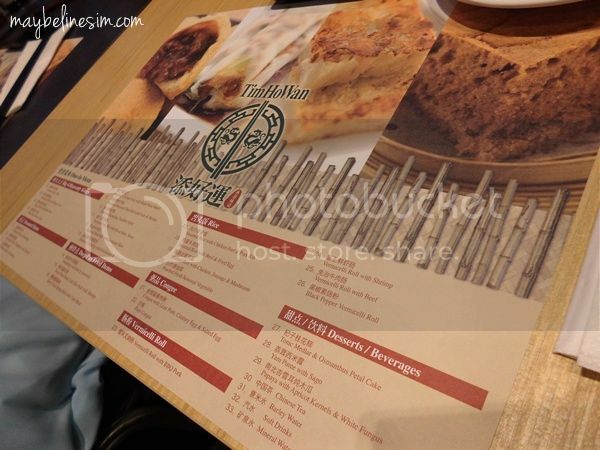 As you can see from the picture below, the restaurant is divided into 2 sections. 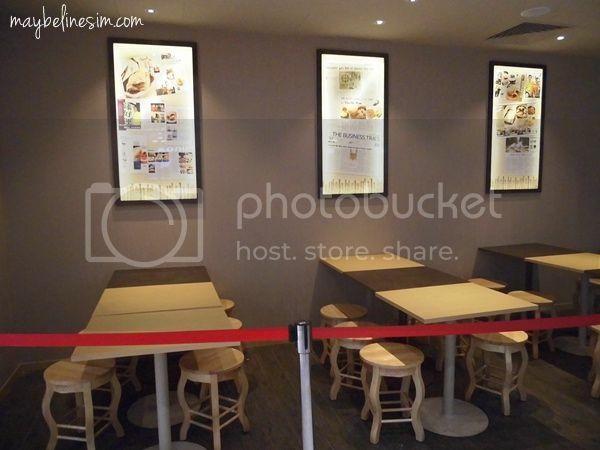 The dine in area as well as the takeaway counter. The dine in area sits up to 100 customers and the takeaway counter offers an express service for customers who wish to bring home their food. The takeaway counter also caters to express customers who eat fast (eg, rush hour, lunch hour) with the area in the picture below. 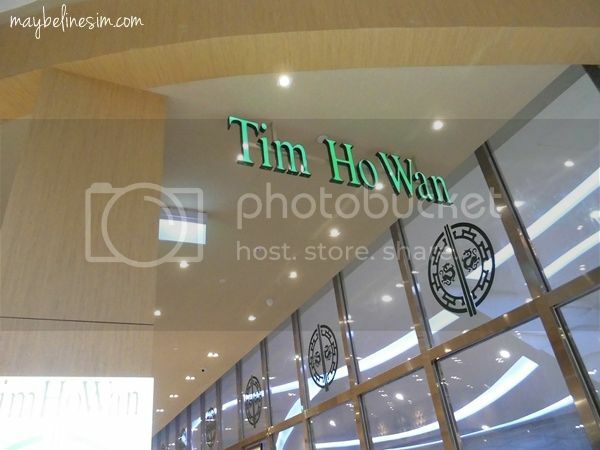 Tim Ho Wan believes in giving back to the society so on the 28 April 2013, they will only be selling Pork Buns and all proceeds will go to The Straits Times School Pocket Money Fund and aid the underprivileged children in Singapore. Their opening hours are from Monday to Sunday, from 10am to 10pm.